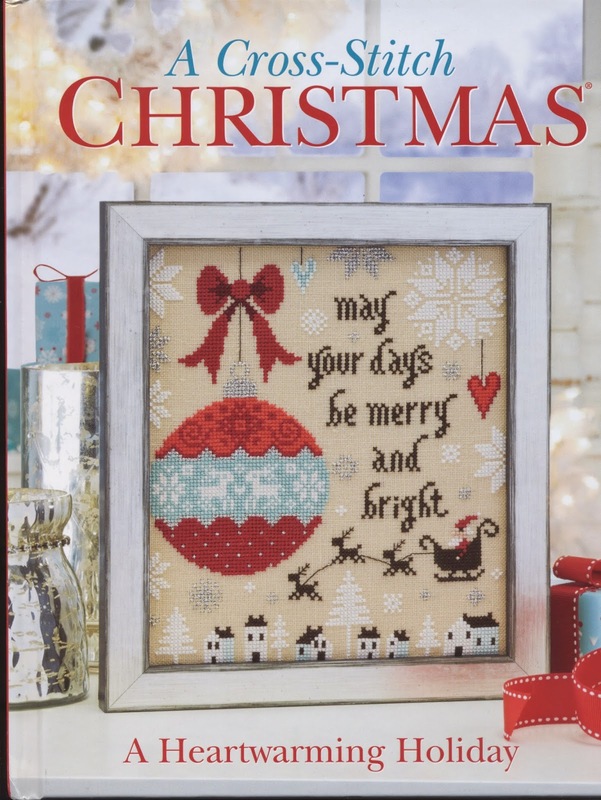 New from Bayview Publishing (Craftways Corporation) in Plover, Wisconsin: "A Cross-Stitch Christmas 2014" hardcover book. With 128-pages of full color photos and charts, there is something for everyone to stitch in this book. Bayview has been publishing a Christmas cross-stitch book every year for as long as we can remember, and every year they manage to be original and fresh—and come up with more projects we want to stitch. They cover all color options for Christmas decorating, not just the usual red and green. You will find designs in purple and gold (very elegant), green and brown (perfect for rustic decor), and bright blue and red (retro love!). Stitch diagrams are included. If you are a cross-stitch beginner who may not know how to do an Algerian Star, there's a detailed diagram for that. Design quality is terrific. Some of the top designers in the industry created patterns for the book: Joan Elliott, Ursula Michael, Tracy Horner, Debbie Rowley, Lois Winston, Janelle Giese, Erik Shipley, Linda Bird, Erin Dekker Raatjes, Amy Bruecken, Ada Haydon, Julia Lucas, Barbara Sestok, Cathy Bussi, Barbara Ana and more, just to name a few. Many of the gorgeous designs use Kreinik threads for that must-have holiday sparkle. If you look forward to giving handmade presents to your loved ones for Christmas, take a look at this book. It should be in stores soon. What are you wearing? Any leather? Not to pry, but we're guessing you have probably worn this material at one time or another: leather gloves, leather jacket, leather boots, maybe even leather pants. Or perhaps you've been on a leather saddle or sofa, or read a leather-bound book. Leather is not only a decorative fashion staple year after year, but it appears in daily life in some form or another as a durable, all-purpose material. It covers people in harsh weather and protects motorcyclists from flying rocks and road rash. 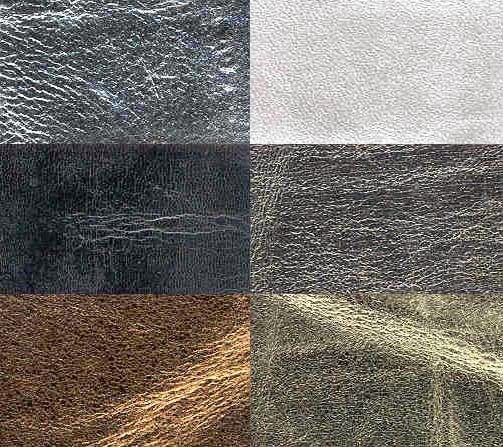 It is also used in works of art, clothing, accessories, and home decor for its unique texture. Synthetic alternatives have even been developed for those who do not want to use any kind of leather. book, "New Twists on Needlework Embellishment." 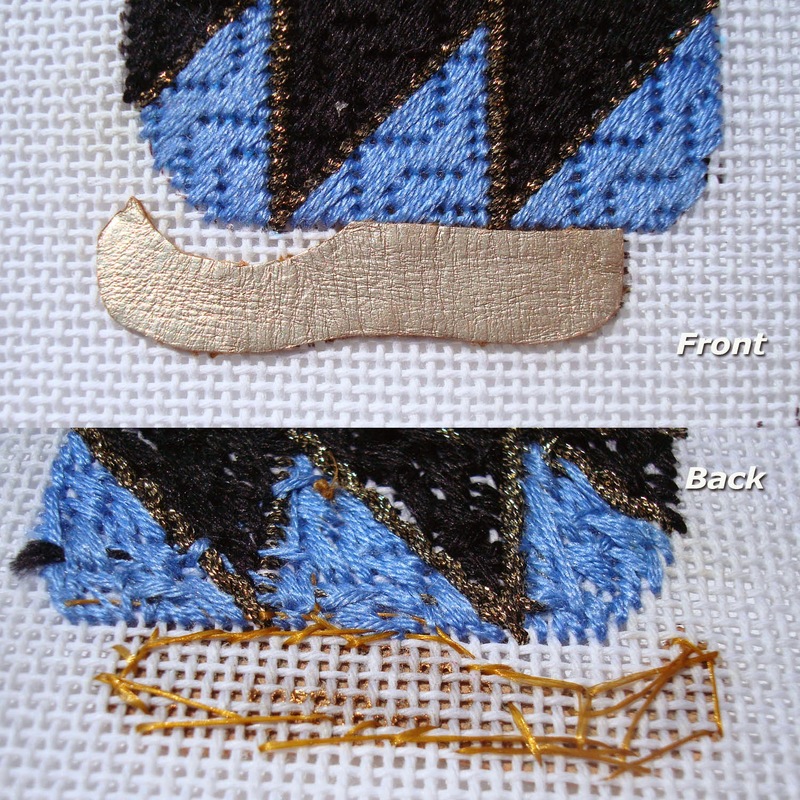 Use heavy-duty, double-sided tape (like Kreinik's Treasure Tape, which is archive quality). Soft, pliable kid leather is available from Kreinik in a variety of sizes. We also have a grab bag of mixed colors and sizes called Hold O'Hides (part of the Bag O'Bits and Sack O'Silks line). 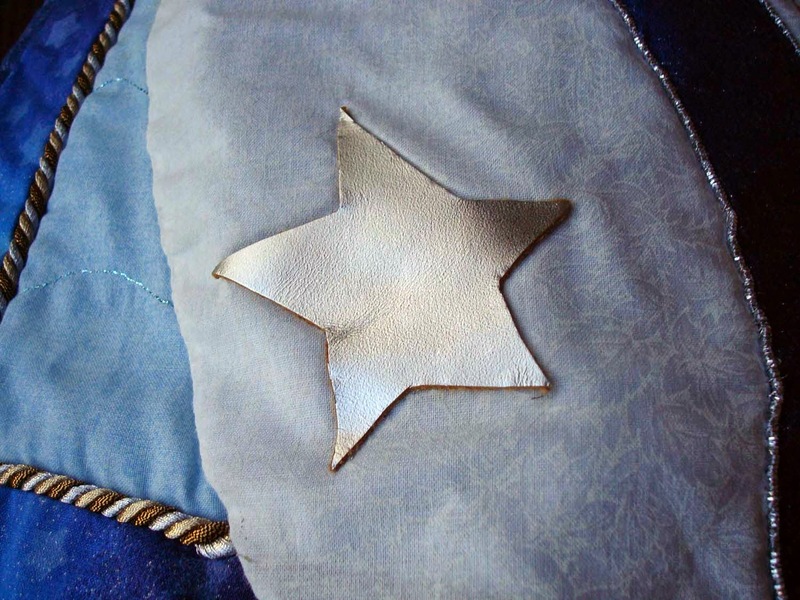 As you start your next project, think about ways you can add leather elements. It adds another texture and visual element that can make your project more exciting and fun. Vacations are supposed to be a removal from what you do day to day. This year, after reading all of the literature, my wife, Myla, and I decided to take an adventure around the northern shore of Lake Superior known as the Circle Tour of Lake Superior: "beautiful vistas, water falls, islands, historic sites, lighthouses, smoked fish, moose, elk, bear and the Northern Lights." Wow, what could be better? What the literature did not say was that if one was into kayaking, canoeing, motor cycling, hiking or cross country bicycling, the experience would be fantastic. Myla and I are not outdoor people, so our adventure into the wilderness only accomplished one goal, and that was to see a moose. The landscape was beautiful when viewable; but the fog was heavy. The waterfalls were magnificent, along with the mosquitoes. The days were cold, and we wore three layers of jackets all-the-while wishing we had not forgotten our toboggans. The food was just okay with no real local lake food available. We had expected to spend two days in Thunder Bay, but the rain and forecast of more rain pushed us onward to Minnesota. Crossing the border, we ventured southward towards Duluth, MN. We drove into a small town not knowing what to expect, and found a gem of an artist colony in Grand Marais, MN. We discovered great food, Bed and Breakfast inns, beautiful vistas and lots to do. It was amazing, but still cold. Met a nice yarn shop owner and learned of a fantastic pizza hangout in town. We were told that there were still small icebergs on the lake, making natural air conditioning on high. The waves crashed along the shore line, the winds blew and people stayed indoors, but it was beautiful. On the route to Duluth, we stopped at Split Rock Lighthouse. The light’s lens was made in France in the late 1800’s as were those of other lighthouses throughout the US. It is able to magnify light up to 20 miles away. Lighthouses are monuments to the past and are normally no longer in use because of GPS. To say we vacationed in Duluth, is strange, but we had great fun in this charming city. It is hilly like Seattle and San Francisco. Driving up the hills was challenging, and winters must be really interesting. There are gourmet quality restaurants, tours and shopping available. On the Duluth harbor tour, it was explained that along the ocean coasts there are sea gulls, but in the bay outside Duluth, they have only “bay-gulls” (ha,ha,ha). The rest of the trip home was along the flooded Mississippi River on the Wisconsin side. We drove by religious grottos, monuments to French explorers and a lot of wineries. We stopped through Galena, IL where President Grant entered politics, and we had a great time looking through shops. Onward to Normal, Illinois where we met “Normal” people. We shot through Indiana to Springfield OH, the original home of 4H. Once back in Parkersburg, we napped for two hours, then went to the factory and picked up my market display. We drove south to the Mountaineer Arts and Crafts Fair in Ripley, WV where Kreinik was a prize sponsor for the annual Quilt show. spent three fun displaying my goodies, all the while making friendship bracelets, talking to quilters, knitters, cross stitchers, needle pointers, spinners and weavers. People were pleased to see my little display of art quilting, dolls and product ideas. Vacation was a 3500-mile trek filled with interesting challenges, adventures and surprises. Myla told me that next time we will visit Mackinaw Island rather than driving by it and seek out a moose with antlers. We will see about that. If there was a Time magazine issue for textiles, we're calling it now: Silk is going to be the Thread Of The Year. It is durable, strong, and takes dyes on a deeper cellular level than any other fiber (that means you get really rich, gorgeous colors). While silk has been used in needlework for centuries, tastes come and go…and right now silk is on the scene. We are seeing it used more in everything from fly fishing to knitting, needlepoint, cross stitch, weaving, and smocking. Remember smocking? It's making a comeback too. Did you see the cute little smocked jumper England's Prince George was wearing on his visit to Australia? Smocked sundresses are a staple in little girls' fashion, but fashion-forward children aren't the only ones wearing the style. Vintage-inspired embroiderers are embracing smocking for everything from wedding dresses to home decor and handbags. "I am on a campaign to get the word out that smocking is so much more than children's clothing," says teacher Barbara Meger. From the Middle Ages onward, smocking has been an embroidery technique with pretty but practical virtues. It may look like simple elastic-like pleating, but the sculpting effects, embroidery stitches and eye-catching patterns make smocking extraordinary. The most popular threads in smocking are cotton and silk, but you can use other threads as well. In her store, Barbara sells Threadworx overydyed floss and Kreinik metallic threads, for instance. 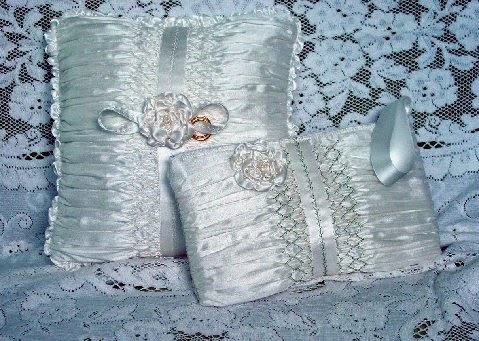 The photos shown here are designs from Barbara's company, Classic Creations. 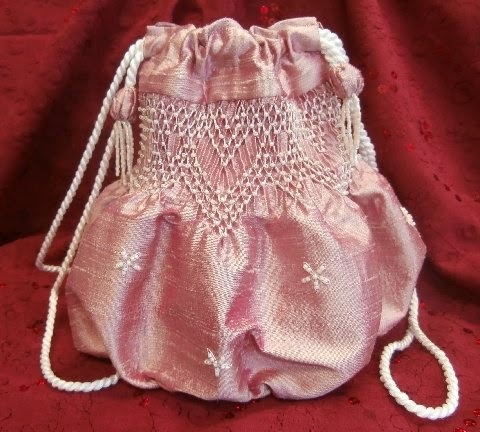 This smocking and bead embroidery bag is created with Kreinik Silk Bella, a 100% pure very thin, fine silk thread. The design is called "Beaded Van Dyke Reticule." Barbara will be teaching it at the Smocking Arts Guild Convention of America (SAGA) Convention in Orlando in September. As you peruse Pinterest, Flickr, Google, blogs, magazines, and stores this summer, keep your eyes open for smocking. It's another beautiful embroidery technique where silk threads shine. Side note: Kreinik's production facility and offices are closed this week for summer holiday. We will be back July 7.